Just before it premieres this Saturday July 21 at Fantasia Film Festival, Raven Banner Releasing slides in to pick up the rights to Knuckleball for Canada. Raven Banner likes a good twisted thriller and Knuckleball hits it right out of the park with this nail-biting horror. Knuckleball stars Luca Villacis (Channel Zero), Munro Chambers (Turbo Kid), Kathleen Munroe (The Void, Birdland) and Michael Ironside (Scanners, Total Recall, Stegman is Dead). Produced by Julian Black Antelope, Mike Peterson, Kurtis Harder (Still/Born) and Lars Lehmann. The film was financed by Calgary-based production company 775 Media Corp., with the assistance of Telefilm Canada. 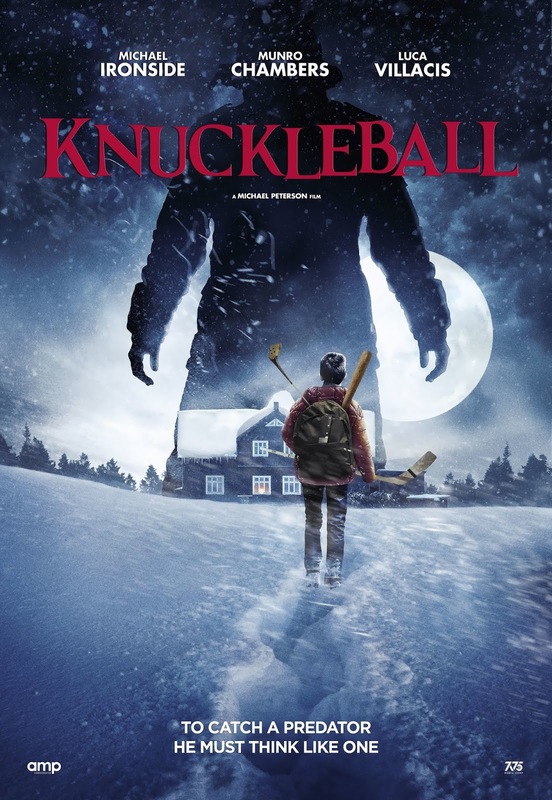 Knuckleball will open theatrically across Canada this fall, followed up with iTunes and VOD.